Key Difference: Intelligence is influenced by our own understanding of the concept. Intelligence is what one can improve by studies, reasoning, understanding and learning. 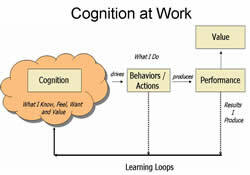 Cognition includes every mental process that may be described as an experience of knowing (including perceiving, recognizing, conceiving, and reasoning), as distinguished from an experience of feeling or of willing. Intelligence and Cognition are related to each other, but is not the same thing. They are very difficult concepts to define. Therefore, in this article we will understand the basic features of each, which will help us to differentiate the two. 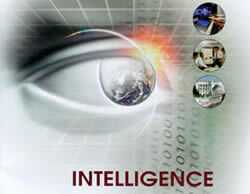 Intelligence derived from the Latin word intelligere which means ‘to pick up’. As a basic term, intelligence is a high capacity of learning or understanding a particular term. It can only be developed from childhood. No one is born intelligent, one needs to work on it and improve his skills. You must have seen that a few kids in a large group are not that intelligent than others. They are not able to grasp things so easily. It is because they have not taken interest and have not tried to improve their knowledge. It is very hard to define intelligence because no one can measure intelligence. There are different types of intelligence: Linguistic Intelligence, Logicomathmatical Intelligence, Spatial Intelligence, Music Intelligence, Bodily-kinesthetic Intelligence, Interpersonal Intelligence, Naturalistic Intelligence, Business Intelligence, Sales Intelligence, Defense Intelligent and many more. Linguistic Intelligence - Speak and write well. Logiomathmatical Intelligence – Use logical skills, i.e., mathematical skills to prove or solve problems. Music Intelligence – Perform, understand and enjoy music. Business Intelligence – Corporate skills. Interpersonal Intelligence – Interact with others effectively. The act or process of knowing; perception. The product of such a process; something thus known, perceived, etc. Cognition is a mental process needed to carry out any task and have more to do with the mechanisms of how you learn, remember, and pay attention rather than any actual knowledge you have learned. Without cognition abilities, one cannot show his intelligence. It is a process where one develops himself through brain-based skills. As compared to the general population, one cannot measure a person’s intelligence. Thus, now the term, IQ or Intelligence Quotient is a test that rates one’s cognitive ability. It is a way to test one’s general ability to solve problems and to understand concepts. Intelligence is basically the ability to perform well in cognitive tasks. It is the ability to use knowledge, solve problems, understand complex ideas, learn quickly, and adapt to environmental challenges. It is process of how you think, is how you start to feel. There are certain cognition therapies, which mainly focus on changing the individual's mental status of those who all are emotionally depressed. Human cognition is well set up to process vague concepts. A person of average intelligence. Disabilities are affecting cognition and judgment. We are gathering intelligence about a neighboring country's activities. The process of cognition can play tricks even on a balanced mind. They live secret lives, surviving on stealth and intelligence. Saving time would appear to be the essence of rapid cognition. Intelligence is the ABILITY to understand what is perceived, learned, or reasoned; on the contrary, cognition is the PROCESS of thought or knowing. It’s the mental outcome of perceiving, learning and reasoning. Hello! May I know who wrote this article? it would be a great help upon giving credit to you.